Very easy day today, good current, minimal wind. 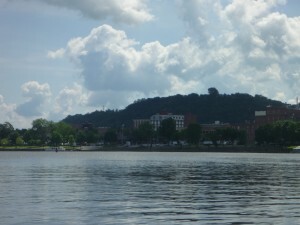 Barges are now a regular sight along the river. 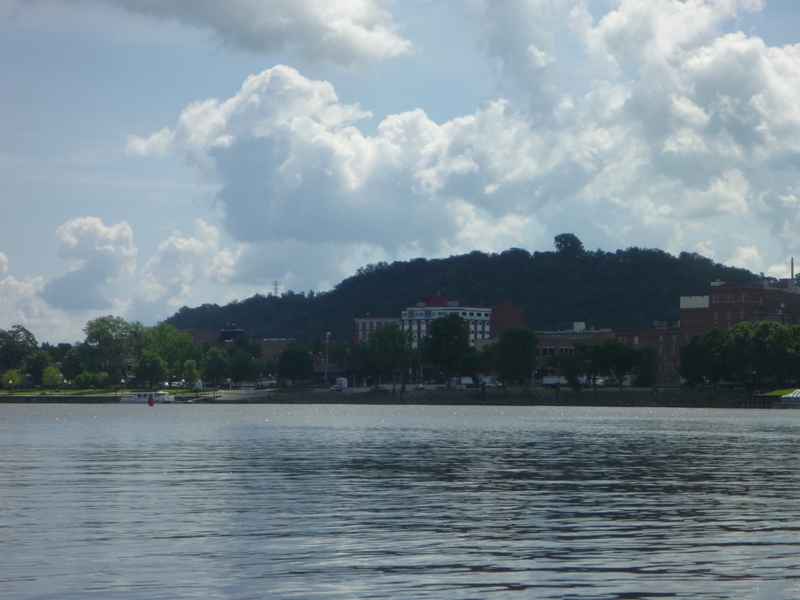 A short day today, in anticipation of a lengthy disagreeable crossing of 20-mile-long Lake Pepin tomorrow. Spending the night on Trenton Island, across from Red Wing, which I explored today on a bicycle loaned to me by the marina owner. Well fed on walleye for lunch and salmon for dinner.